ConDeck Corporation is a certified applicator of numerous Lightweight Insulating Concrete Manufacturers. ConDeck roof decks are recognized by leading roofing manufacturers as a preferable substrate for most roofing applications. LWIC is superior to other rigid roof insulations. LWIC is a cost-effective and time saving solution for your roofing and re roofing needs. LWIC has the ability to fast track a project and has many FM, UL and STC ratings over any substrate. LWIC is a sustainable roof insulation that lasts for the life of the building. When a re-roof is required you do not have to replace the insulation, as the EPS is fully encapsulated and protected within the LWIC. 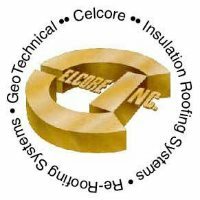 ConDeck is certified and fully trained by Tectum Inc. to install Structural Roof Deck Panels. Where noise is a challenge, Tectum roof deck systems offer a solution that is attractive, proven, tough and recommended by acoustical consultants everywhere. Tectum structural roof decks combine beauty and performance in a way no other acoustical product can. ConDeck provides an array of Engineered Fills. Engineered Fills are site mixed and pumped where required. We specialize in engineered backfill, pipe abandonment, pipeline grouting and slip-lined pipe applications as well as bridge approaches, roadway fills, weight reducing foundation mats, plaza deck projects and lightweight pervious concrete. ConDeck is a regional source for metal deck and metal deck accessories. In-stock items include many profiles of painted, galvanized, and acoustical metal deck. We can accomodate any size order, cut to length, with same day delivery service.